Entitled “One Health: more than a buzzword? 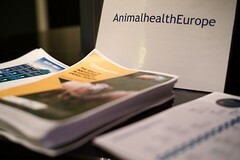 Animal health for society from vision to action” the AnimalhealthEurope conference, held on 12 October at the Renaissance Hotel in Brussels, was solution-oriented. Antibiotics are sometimes needed to ensure animal health and welfare. They should always be used responsibly. 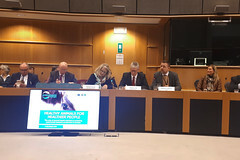 For the 2017 European Antibiotics Awareness Day AnimalhealthEurope pledges to promote Responsible Use, encourage transparency of use and foster innovation in new treatment options.